congrats on hitting 100, its incredible how fast the time is passing actually, i love what you've collected so far. enjoying your collections, congratulations on hitting 100, I'm looking forward to the next 265! congrats on 100! You astound me. I'm sorry I haven't had time to comment, but I want to thank you for your daily photos, arranging. They always make me smile when I see them in my reader. Oooh, I love these. I love old letters. Congrats on 100! Congratulations on hitting 100! Keep your awesome collections coming! This blog rules. Thank you for sharing your talents, time, and treasures. 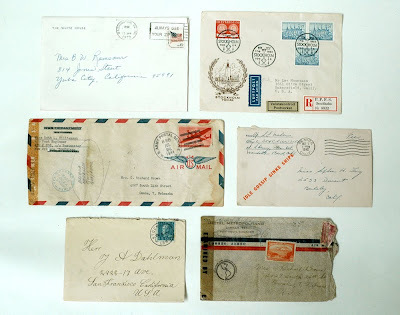 I love love love vintage envelopes. There is something so special about letters period. This makes me want to mail a letter! This is awesome. Great job and cool blog! 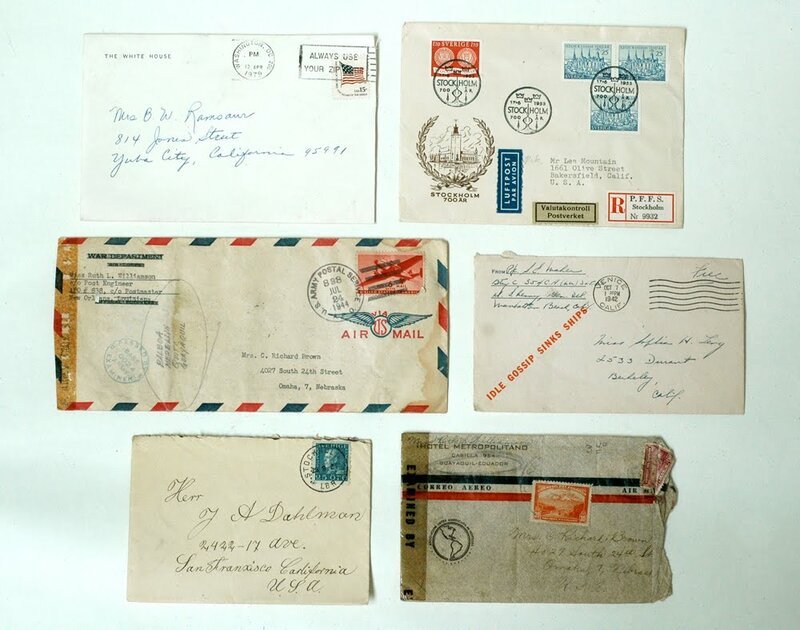 I adore vintage envelopes, especially ones with lots of post marks.